Alien-Hunting 19 Years After "Contact"
One of the most realistic parts of Contact is the blatant sexism that the brilliant young astronomer Eleanor Arroway encounters throughout the 1997 extraterrestrial-hunting film. The rumored inspiration for Arroway -- Jill Tarter -- said in 1999 that author Carl Sagan, who wrote the novel the movie was based off of, "included many of the 'character-building' experiences that are common to women scientists studying and working in a male-dominated profession, so Ellie seems very familiar to me." "Character-building" in this scenario is being a prominent SETI (Search for Extraterrestrial Intelligence) astronomer who has to deal with backward dudes who think your scientific expertise is laughable science fiction and won't take you seriously because you're a woman. Great. But for a movie that ends up with our protagonist on an intergalactic pseudo-beach chatting with an alien posing as her father, you may be surprised to know that what Contact nails doesn't stop there. Contact's realism is a reflection of the fact that Sagan knew what he was talking about. Until her breakthrough, Arroway lives a convincing life as a scientist -- working out of the same observatories as real SETI researchers, fighting for funding, and hunting for alien life by listening for radio signals between 1,200 and 3,000 MHz from systematically selected stars. But what makes Arroway's discovery of alien-transmitted communication from the star Vega awesome material for a Hollywood blockbuster is that it's sold as a fantasy. Sagan knew the real science going on behind the fiction he created, but people who bought movie tickets didn't. People in 1997 didn't believe in SETI initiatives any more than the antagonists Arroway encountered. If Contact was to get a remake today (but seriously, no) it wouldn't be able to instill the same sense of bewildered wonder. And that is a very good thing, namely because the work that Arroway portrays in the film is finally getting its due as a respectable field of science. Contact has proven to be prescient in 2016 (save for the actual we've-gotten-a-message-from-aliens part). Ellie reachers for a cracker-jack compass during her journey to Vega. Take billionaire Yuri Milner: In Contact, Arroway's work (and eventual voyage to Vega) is saved by the financial intervention of Dr. Hadden Suit, whose wealth seemingly has no bounds. Suit works from the shadows, moving the pieces in Arroway's life, without the public knowing of the alien-hunting science going on behind closed doors. Comparatively, Milner is a real life financier who has made his intentions to help find evidence of extra-terrestrials extremely public. In 2015, Milner announced his Breakthrough Listen initiative in collaboration with the SETI program at the University of California, Berkeley -- a $100 million project that uses telescopes to listen for extraterrestrial radio signals and search for laser signals. 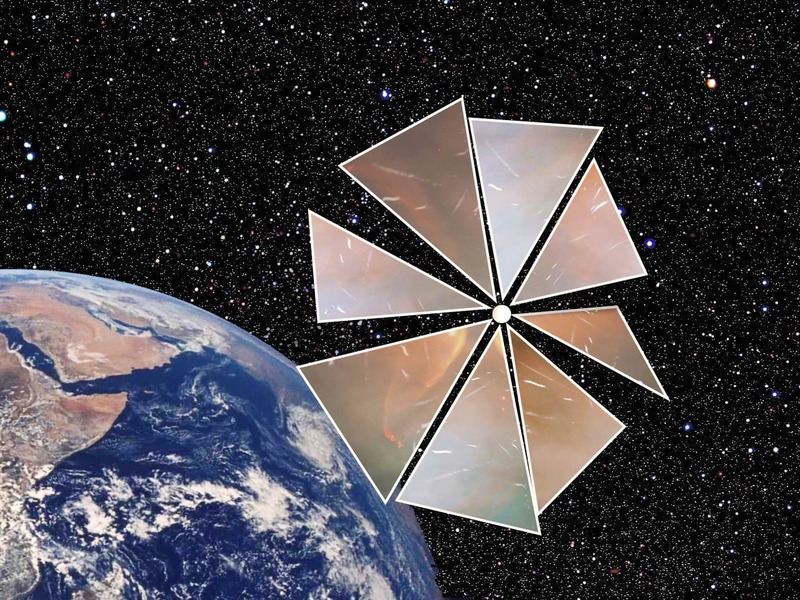 In January, he announced another $100 million dollar project with Breakthrough Starshot, an enterprise that plans to send laser-powered lightsails to the star system Alpha Centauri with the eventual goal of encountering life in deep space. That line, in any other year, would seem straight-up ridiculous. A Breakthrough Starshot solar sail. But things are a bit different in 2016. Arroway probably would not need to patiently break down how radio signals work to suits in the U.S. government when they begin to investigate her work; they'd probably already know what's going on. Just look at the development of the FAST telescope being built in China, which Zheng Xiaonian of the Chinese Academy of Sciences says will have "the potential to search for more strange objects to better understand the origin of the universe and boost the global hunt for extraterrestrial life." But mainly, a scientist of Arroway's caliber wouldn't have to take the same sort of inane criticism. SETI researchers are increasingly aware that they are no longer fringe weirdos. SETI communications director Seth Shostak told Inverse in January that, "I think there may be truth to SETI being taken more seriously by the public and it may be a consequence of the discovery of exoplanets filtering down to the public." And while funding for exploratory science continues to be a struggle, SETI has been able to continue -- and even increase -- its programs. While it continues to monitor radio waves, sometimes with the help of public laptops, SETI is also able to use optical instruments to look for lasers and light patterns that could signify the presence of aliens. In fact, on Thursday, SETI's Institute Director of Research Nathalie Cabrol published a proposal arguing for further developing alien-hunting techniques, specifically through the establishment of Virtual Institute with "new detection strategies." "To find E.T., we must open our minds beyond a deeply-rooted, Earth-centric perspective, expand our research methods, and deploy new tools," said Cabrol in a press statement. "Never before has so much data been available in so many scientific disciplines to help us grasp the role of probabilistic events in the development of extraterrestrial intelligence. These data tell us that each world is a unique planetary experiment." Cabrol's words are comparable to that of Arroway's, who praises the "acquisition of technology" as the catalyst for finally making contact probable. The good news for us: Cabrol is real, and one day, contact with aliens might be too.